If you are reading this, chances are the Sensex and the Nifty are part of your daily life, and actions on Dalal Street can make or mar your day. That's probably the reason why you are on this page, where we try to capture every action -- big or small -- from the listed universe of India Inc; be it largecap, midcap or smallcap. Plus, we keep you up-to-date on anything that may move your market. Stay put to stay updated! @3.22 PM: IPO WATCH: Parag Milk Foods IPO fully subscribed. 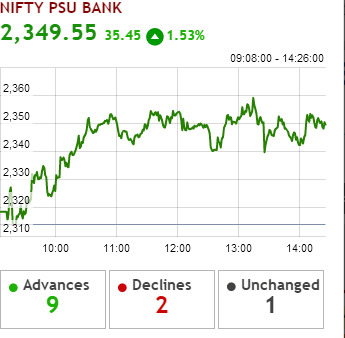 @2.26 PM: Nine out of 12 PSU Bank stocks rise on the NSE as the Bankruptcy Bill was cleared by Lok Sabha yesterday. It will address the problem of bad loans ailing the sector. 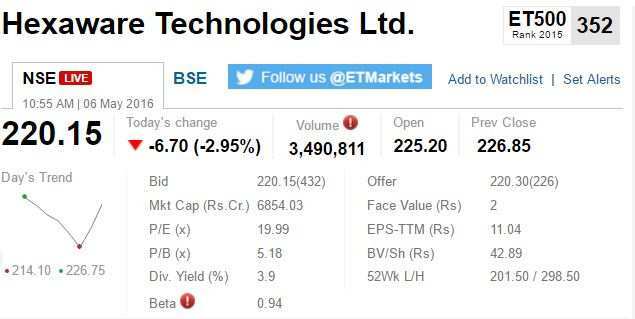 @1.53 PM: Shares of Talwalkars Better Value Fitness rise 4 per cent as the company reported 21.42 per cent rise in net profit at Rs.20.54 crore for the March quarter. 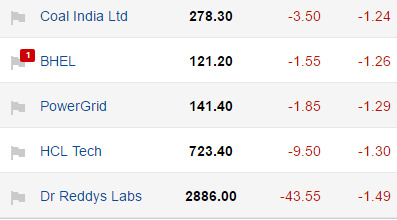 @9.45 AM: Dr Reddy's Labs ​(down 1.49%), HCL Tech ​(down 1.30%), Power Grid ​(down 1.29%), BHEL ​(down 1.26%) and Coal India (down 1.24%) are among the top five Nifty50 losers. @9.30 AM: Bharti Airtel (up 1.72%), State Bank of India ​(up 0.33%) and Sun Pharma ​(up 0.09%) are among the sensex gainers. ITC (down 1.98%), Dr Reddy's Laboratories ​(down 1.36%), Coal India ​(down 1.15%), Tata Steel ​(down 1.14%) and TCS ​(down 1.13%) are among the top Sensex losers. @9.20 AM: The benchmark equity indices resumed their downward journey on Friday, after snapping a three-day losing streak in the previous session, as weak cues from Asian markets weighed on sentiments. At 9.18 AM, the S&P BSE index was down 145 points, or 0.6 per cent, at 25,116.95. NSE barometer Nifty50 fell about 40 points and was quoting below its psychological level of 7,700. Shares of Hero MotoCorp fell 1 per cent to Rs 2,863.45. The standalone Q4 net sales of the two-wheeler major came in at Rs 7,385 crore, 10.3 per cent higher than that for the year-ago quarter. Pre-open Session: Sensex gains 0.13%, Nifty50 0.04%. @9.00 AM: Market Outlook: The domestic equity indices are likely to open on a weak note on Friday, following mixed cues from overnight trade in the US market ahead of a slew of key quarterly earnings scheduled for release later in the day. Titan, Siemens India, Wockhardt, Reliance Capital, Pfizer and Equitas, among others, will disclose their March quarter numbers during the day. Meanwhile, Nifty50 futures on the Singapore Stock Exchange is trading 40 points lower at 7722. Rupee steady: The rupee recouped from its morning losses against the American currency and ended barely steady at 66.55 on mild selling of dollars by banks and exporters in view of recovery in the domestic equity market. 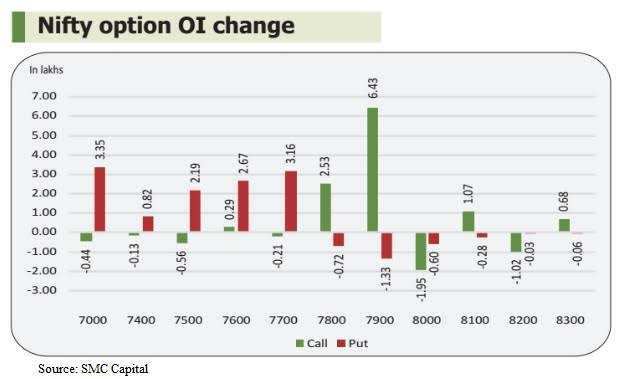 Call rates up: The overnight call money rate finished higher at 6.20 per cent from Wednesday close level of 6.15 per cent owing to good demand from borrowing banks on the back of ample liquidity conditions in the banking system. 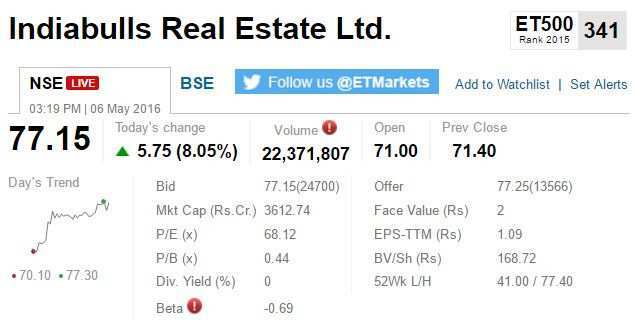 It resumed higher 6.60 per cent and moved in a range of 6.70 per cent and 6.00 per cent ended higher. Bonds decline: Government bonds (G-Secs) declined on fresh selling by banks and corporates. The 7.59 per cent G-Secs maturing in 2026 fell to Rs 101.04 from Rs 101.06 previously, while its yield inched up to 7.44 per cent from 7.43 per cent. The 7.88 per cent G-secs maturing in 2030 dipped to Rs 100.97 from Rs 101.01, while its yield held stable to 7.76 per cent. The 7.59 per cent G-Secs maturing in 2029 eased to Rs 99.5650 from Rs 99.61,while its yield ruled steady to 7.64 per cent. The 7.72 per cent G-Secs maturing in 2025, the 7.68 per cent G-Secs maturing in 2023 and the 8.24 per cent G-Secs maturing in 2027 were also quoted lower at Rs 100.62, Rs 100.5125 and Rs 103.20 respectively. 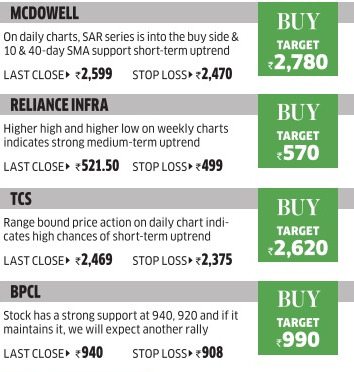 @8.35 AM: Watch out for earnings: Titan, Siemens India, Wockhardt, Reliance Capital, Pfizer and Equitas, among others, will disclose their March quarter numbers during the day. ► Hero MotoCorp on Thursday reported markedly improved financial results for the fourth quarter (Q4) of 2015-16 (FY16) but full-year performance was sluggish. ► State Bank of India has launched a mobile payment solution that will enable customers to make digital payments at offline stores by scanning a QR (quick response) code on their smart phones. ► ITC has forayed into the super-premium chocolate segment with a luxury offering branded Fabelle, which will be sold through boutique stores in its luxury hotels. ► Mahindra & Mahindra has overtaken Tata Motors as the largest small commercial vehicle maker, and extended the lead to 15% in the load or cargo carrying truck segment. ► Sun Pharma received a thumbs up from investors on Thursday, after the company said its psoriasis molecule met two key targets in advanced clinical studies. 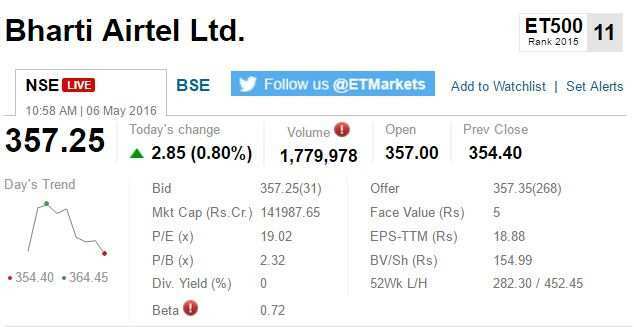 ► Bharti Airtel says it expects the entry of Reliance Jio Infocomm to shake up the market, but says it is battle-ready to face off with the competitor. 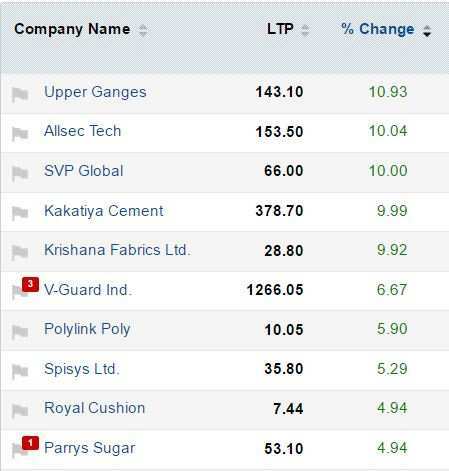 ► Banking stocks, especially PSU players, are likely to see a lot of action after the Lok Sabha on Thursday approved a Bill to overhaul century-old laws that regulate insolvency. ► Yes Bank has been granted an in-principle approval by the Securities and Exchange Board of India (Sebi) for acting as custodian of securities. 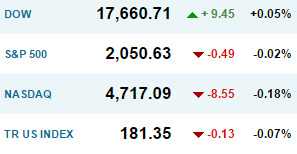 ► The US stock market closed flat with the Dow Jones index barely notching up a mild gain of just 9 points. European equities were also mixed with the German DAX gaining 0.24 per cent and the French CA40 ending with losses of 0.11 per cent. ► With Reliance Jio delaying its entry into the market, Airtel CEO for India and South Asia, Gopal Vittal, believes it has enough in its arsenal to wade off the impending threat. RJio is expected to come in with cheaper tariff, gunning to eat into the incumbent's market shares. ► While Brazilian equities continue to rally, the country's sovereign debt situation remains underwhelming. Ravaged by political uncertainty and the worst recession in about a century, Brazil's fortunes have been struggling for some time now. ► San Francisco Fed chairman John Williams believes that the vote, scheduled to be held just eight days after the June FOMCC meet, may have repercussions on the rate hike decision. Atlanta Fed chair Dennis Lockhart, too, suggested caution. ► Officials in the Reserve Bank of India are becoming increasingly worried about the 2.1 per cent decline in remittances flow to the country. @8.00AM: Good morning, dear reader!